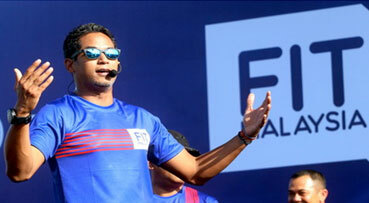 Youth and Sports Minister Khairy Jamaluddin said the Fit Malaysia Program, introduced in 2004, is an effective platform in promoting sporting activities and fitness among the community. He said the programme received encouraging response and showed that a healthy lifestyle was getting increasing attention from the people in the country. "My dream is to churn out sporting champions and become a great sporting nation. Last year we emerged as the overall champion at the SEA Games and I am confident that we will end the wait to win Malaysia's first gold at the 2020 Olympic Games in Tokyo. "In order to turn Malaysia into a fit and active nation, we need the people to be healthy. We fight against diseases such as diabetes, heart disease and obesity, " he said.